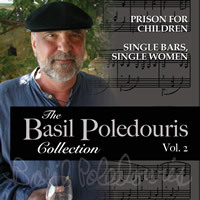 Dragon’s Domain Records, to be distributed through buysoundtrax.com, will be releasing THE BASIL POLEDOURIS COLLECTION, VOL. 2, featuring music composed by the great Basil Poledouris. For this special collection of rarities, Dragon’s Domain Records showcases two of the composer’s lesser known scores from his extensive filmography. THE BASIL POLEDOURIS COLLECTION, VOL. 2 includes never-before-released music from PRISON FOR CHILDREN (1987) and SINGLE BARS, SINGLE WOMEN (1984). The film music of Basil Poledouris is best known for its prominent melodic base and powerful symphonic gestures; at the same time his attraction to integrating electronic elements within the orchestra have led to some unique sonic palettes. His untimely death at the age of 61 in 2006, has left a significant legacy of outstanding film and television compositions, a handful of which remain conspicuously unreleased. Among them are the two scores represented in this collection, little known works from two elusive, fairly forgotten projects that Basil scored with an appreciable amount of sensitivity and composition. PRISON FOR CHLDREN is a made-for-TV drama originally aired on March 14, 1987. The film is based upon the clinical research and professional experiences of E. Kent Hayes and Alex Lazzarino, noted for their research into the lives of children who are thrown in jail “because they have no adults to care for them,” and their 1984 dramatization of one true story they examined, the book “Find A Safe Place,” indirectly formed the basis for the story of PRISON FOR CHILDREN. The movie starred Raphael Sbarge in the lead role of 16-year old John Parsons, who works with his brother as tenant workers on a horse ranch. Guest stars included John Ritter, Jonathan Chaplin, a 19-year old Josh Brolin, Kenneth Ransom , James T. Callahan, Gordie Wright and Betty Thomas. The film features an exceptional score by Poledouris, composed between his scores for the TV mini-series AMERIKA and the feature film ROBOCOP. It’s a splendid symphonic work, comprising a single theme which encompasses the entire story through variations and unique arrangements. In some ways this score foreshadows his rich, Americana score for LONESONE DOVE (1989), while the electronic passages are reminiscent of those he would develop further in THE HUNT FOR RED OCTOBER (1990). SINGLE BARS, SINGLE WOMEN was a television film that aired on October 14th, 1984. The film follows three sets of single people who, for various reasons wind up in BANDINI’S, a local bar noted as a pick-up place. With the advantage of an excellent cast, the film is actually quite a sensitive character drama focusing on what brings these individuals to BANDINI’S, what they think they want, and what they’re really looking for. The cast includes Shelly Hack, Paul Michael Glaser, Tony Danza, Keith Gordon, Christine Lahti, Mare Winningham and Kathleen Wilhoite. Inspired by Dolly Parton’s hit song “Single Women,” which was written by Michael O’Donoghue, a SATURDAY NIGHT LIVE writer, and in fact originated on a 1981 SNL sketch in 1981, the film didn’t need a lot of underscore, as ‘80s era popular songs abound on the soundtrack as source music from the bar’s live band, from radios or jukeboxes. Scored just after CONAN THE DESTROYER and RED DAWN and just before PROTOCOL and FLESH + BLOOD, SINGLE BARS, SINGLE WOMEN was quite a change from Basil’s organic, rich orchestral writing. Exercising his inner romantic, Poledouris wrote a short score consisting of “incidental” music for the film, which in fact becomes essential in creating empathy and tugging the heartstrings of viewers. 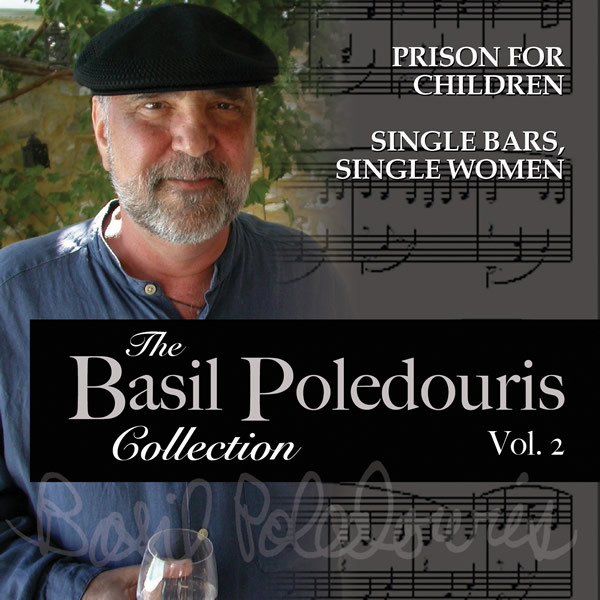 Dragon’s Domain Records presents THE BASIL POLEDOURIS COLLECTION, VOL. 2, featuring previously unreleased music from PRISON FOR CHILDREN and SINGLE BARS, SINGLE WOMEN, mastered from the composer’s own elements by James Nelson of Digital Outland. THE BASIL POLEDOURIS COLLECTION, VOL. 2 features exclusive liner notes by author Randall Larson. THE BASIL POLEDOURIS COLLECTION, VOL. 2 is a limited edition release of 2000 units.